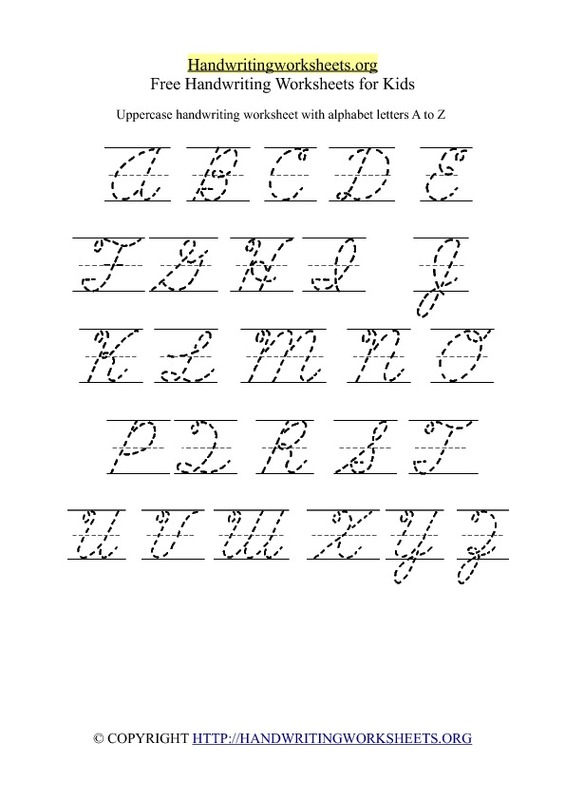 Free printable handwriting worksheet with lowercase small letters ( 26 alphabet letters ). Print our free alphabet tracing worksheet with dotted lines in pdf printable format with A-Z letters and practise your handwriting. 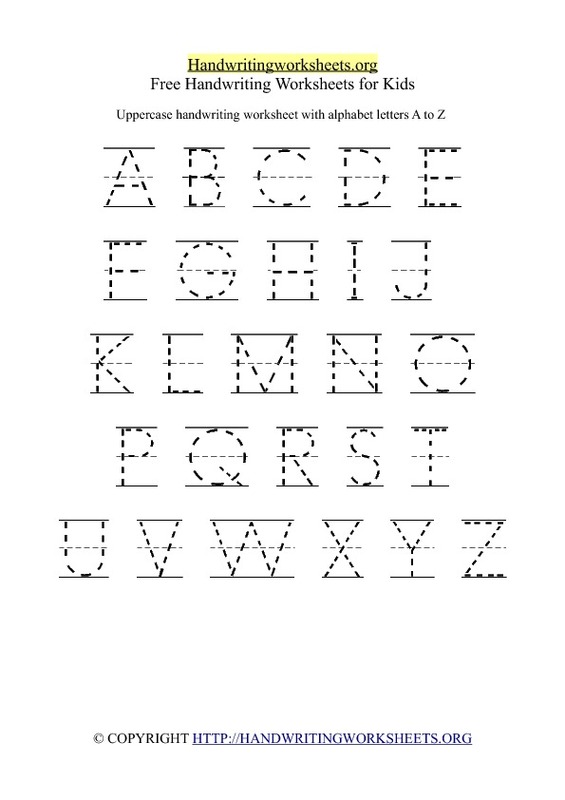 Free printable handwriting worksheet with uppercase capital letters ( 26 alphabet letters ). Print our free alphabet tracing worksheet with dotted lines in pdf printable format with A-Z letters and practise your handwriting. 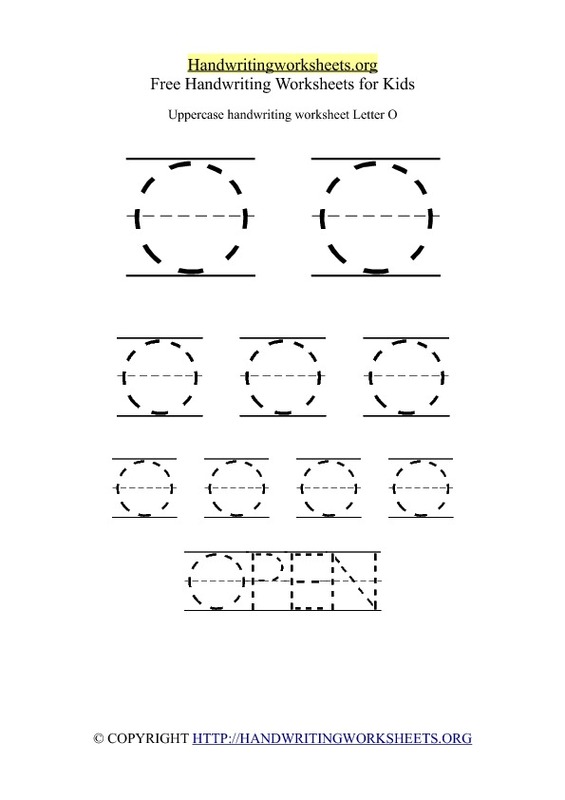 A-Z Alphabet worksheet printables in uppercase by letter ( 26 worksheets by letter ). 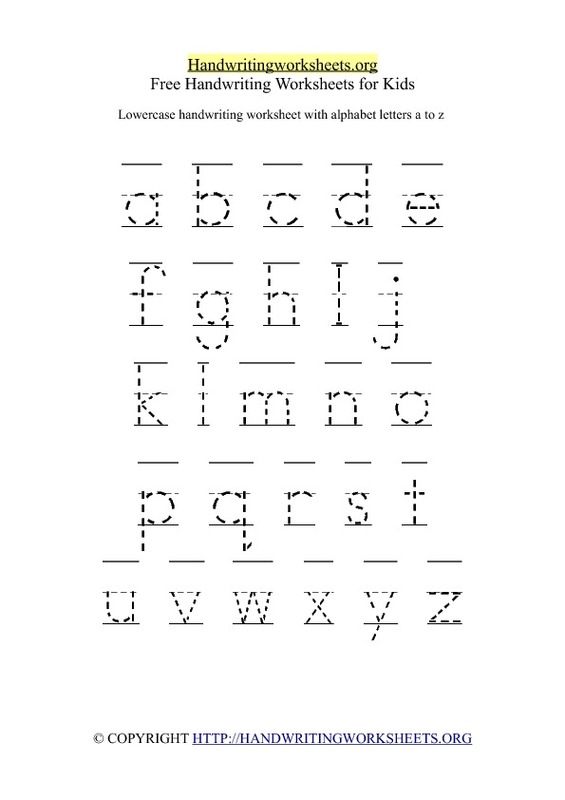 Print our free alphabet handwriting worksheets in pdf printable format with A-Z letters and words. 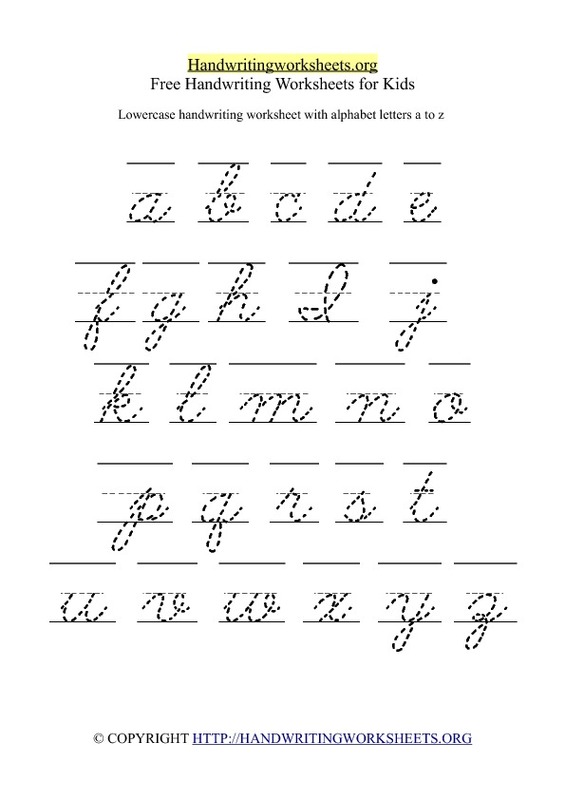 Practise your handwriting skills with our 26 free uppercase alphabet tracing worksheets.